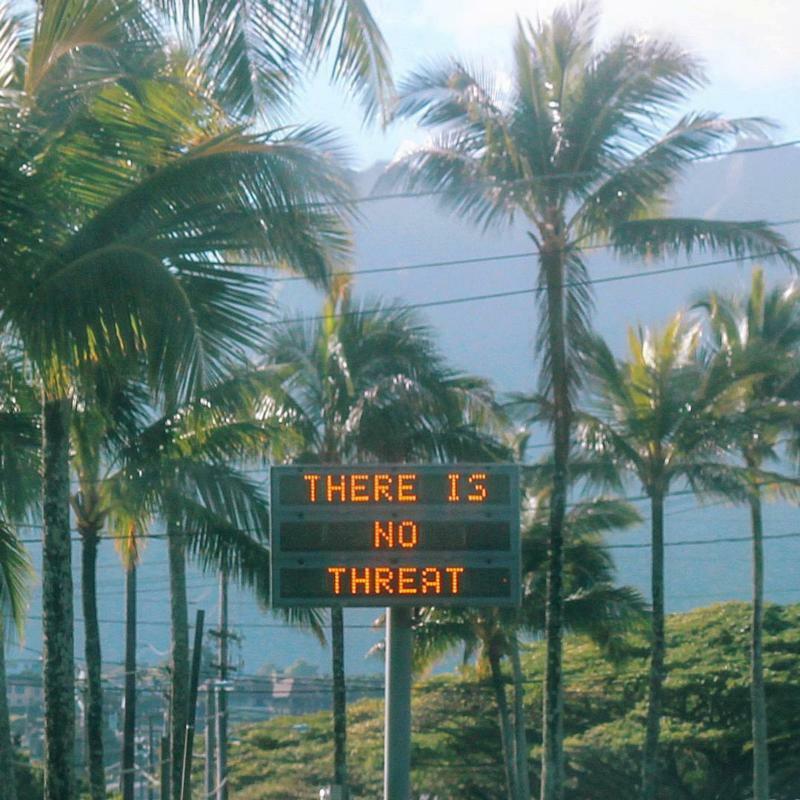 HONOLULU (CNS) — Honolulu Bishop Larry Silva gave general absolution to about 45 people in a deacon formation program in response to the alert of an imminent ballistic missile attack that put Hawaii in a state of panic shortly after 8 a.m. Jan. 13. It was the first time he had ever performed the rite. The absolution of sins given to a group of people at one time is allowed only in grave circumstances, such as situations of great danger or imminent death, or for soldiers going into battle, when private confessions are logistically impossible. “I am not in favor of general absolution in general, but that was an appropriate use,” he said in a Jan. 16 interview with the Hawaii Catholic Herald, Honolulu’s diocesan newspaper. Time was of the essence. A ballistic missile from North Korea would take 15 to 20 minutes to hit Hawaii. The first thing the bishop did was attempt to alert a visiting monsignor, but the priest did not answer his knock. So, he walked the 50 or so yards to the center’s chapel where nine deacon candidates and their wives, there for the weekend with their formation team, were attending Mass. “I thought, ‘How can I make myself useful? '” the bishop said. By then the celebrant, diocesan judicial vicar Father Mark Gantley, was halfway through the distribution of Communion. The group already knew something was up because Deacon John Coughlin, director of the diaconate formation program, had showed a cellphone displaying the threat message to Father Gantley while he was giving Communion. Some thought that perhaps the bishop had died and were relieved when he walked in the back door. Father Gantley continued the Mass to the end without a mention of the alert. He did skip the leave-taking song, however. That’s when Bishop Silva, who was wearing a T-shirt, stepped forward to say he would give everyone general absolution. He decided to forgo the stole and skip the liturgy that accompanies the rite. “I just thought, ‘Let’s get this thing done,'” Bishop Silva said. After giving a brief introduction about what he was doing, he said the words of absolution over the group. Deacon Coughlin said the absolution was followed by a feeling of peace. “It was incredible calming for everyone,” he said. Eva Andrade, one of the deacon formation staff, called the absolution “the most powerful reconciliation ever,” adding that she has received quite a few. Following the sacrament, Bishop Silva told the group that they might as well have breakfast which was being served in the dining room in the safest building on campus, a former mansion with 3-foot-thick concrete walls. That evening the deacon formation class had an unscheduled two-hour “critical incident stress debriefing” led by Father John Keenan, who is a Blessed Sacrament priest and a psychologist who specializes in such events. “It became a very emotional,” said Deacon Coughlin. One of the couples’ biggest concerns was that they “were away from their children” during the incident. “There was a cathartic release,” he said. “I thank the Lord for that,” he said.